As I write this column, I am days away from celebrating 10 years of being a part of this wonderful craft beer community. 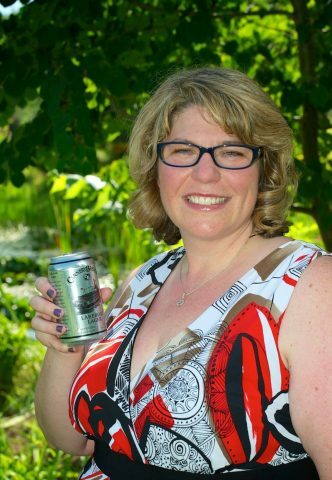 When I first started with Cannery Brewing in March 2007, I worked 4 hours a week. Today, I work about 20 hours a week….. and I love every single one of those hours. One of the main reasons I love working in this industry is the people. Patt and Ron Dyck, owners of Cannery Brewing, welcomed me to the team and family with open arms. At the time, their son Ian was a teenager. Today, Ian is also an owner of the brewery and has recently had his first son. I think there were about 6 or 7 people on the team at that time today there are more than 20. Back then we called Cannery Brewing a micro-brewery. I don’t remember the term craft brewery coming in until later. In the Okanagan, we had Cannery Brewing, Tin Whistle Brewing, the Barley Mill BrewPub and Tree Brewing long before the ‘Craft Beer Revolution’. We had the Okanagan Fest of Ale well before craft beer festivals were popular. Today we have an exciting craft beer scene here in the Okanagan, although for many around the rest of the province and country, it’s still an undiscovered hidden gem of a craft beer region. I remember getting ready with anticipation for my first Okanagan Fest of Ale in 2007. It’s hard to believe, but in a few weeks on April 7th and 8th, I will be participating in my 11th Okanagan Fest of Ale. It’s one of the busiest weeks of the year for me, but also one of the best. It’s an honour to welcome craft beer lovers, beer writers and bloggers, beer judges and fellow breweries to Penticton and the gorgeous South Okanagan. This year, the 22nd Annual Okanagan Fest of Ale promises to be the best yet with a record 62 craft breweries and cideries participating. It takes a whole community to put on Okanagan Fest of Ale. When you read my beer-loving friend Chelsea’s story in this issue with a behind-the-scenes look at Okanagan Fest of Ale, this is evident. Those of us connected to the craft beer and cider scene, those in tourism, those who love the Okanagan, all show up to help put on one heck of a great craft beer fest. Community brings us together. Our breweries don’t see each other as competitors. Instead, we are collaborators, friends and colleagues who enjoy sharing a beer together and helping each other. We’ve worked together a number of times to create collaborales. The first one I recall was in 2013. Cannery, Firehall and Tin Whistle got together to make a collaborale cask for a special event with Joe Wiebe when he launched the first edition of his book, Craft Beer Revolution. Since then, Cannery has done collaboration ales with Bad Tattoo Brewing and Barley Mill BrewPub. Sid from Firehall took the lead in creating a South Okanagan collaborale for the Oliver Cask & Keg Festival, which helped raise funds for CAMRA SO (Campaign for Real Ale South Okanagan). Many said it was the best cask at the event, which reminds me of the quote by Aristotle that the whole is greater than the sum of its parts. Bad Tattoo has collaborated with Torchlight Brewing in Nelson. Firehall has collaborated with Canuck Empire Brewing. Cannery and Firehall have each done collaboration brews with Parallel 49 for their Brews Brothers features. In the future, I’m sure our South Okanagan collaborales will include Summerland’s newly opened Detonate Brewing and Penticton’s Highway 97 Brewery. In March, many of our local breweries will participate in the 3rd annual Microbrews for Microphones campaign. This light-hearted competition between local breweries helps bring awareness to our local volunteer-run Peach City Radio station which currently puts out a 24/7 online stream of music and local content with the intent to broadcast on the FM dial within the year. To date, the campaign has raised over $1,500. Whether it’s about supporting each other, our local beer festivals, charities, CAMRA SO or campaigns like Microbrews for Microphones, the Okanagan craft beer community stands united together. In my 10 years in the BC Craft Beer industry, I’m sure there were difficult times. But as I reflect through my beer-coloured glasses, I only have the hoppiest of memories. To find out more about the South Okanagan craft beer scene, head to the CAMRA SO AGM and monthly meeting on March 13th at Craft Corner Kitchen in Penticton.